A drone of the Special Monitoring Mission of the OSCE spotted about 100 tanks of militants near the occupied Luhansk, the press service of the SMM reports. According to the data by OSCE, 34 tanks were near settlement Kruglic, which is 31 km from Luhansk, 19 tanks and eight self-propelled artillery guns and 24 towed howitzers were in the area of Myrne village. 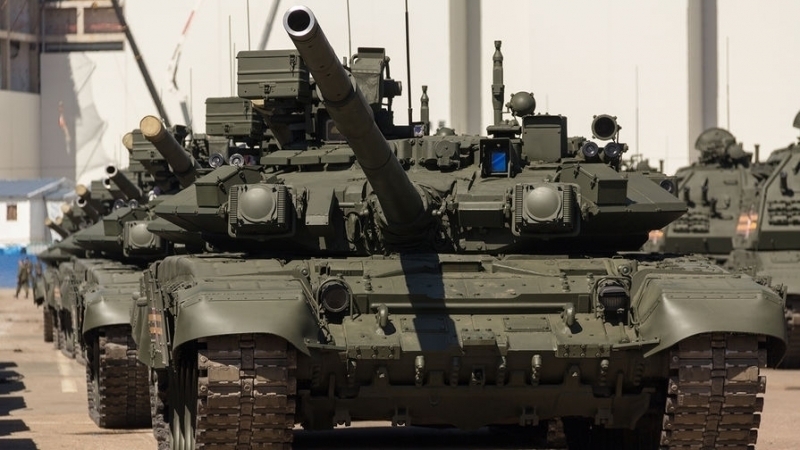 Also, 13 tanks were spotted near the settlement Shymshynivka, seven and eight tanks towed howitzers near Miusynsk and 24 more tanks and four anti-aircraft missile complexes near Buhaivka. The mission, however, could not establish the type of tanks. Moreover, OSCE long range UAV also recorded seven multiple rocket launchers (BM-21 Grad, 122 mm) in about six kilometers south-east of Miusynsk and seven MRLs (BM-21) in the Myrne village which is 28 km southwest from Luhansk. Earlier, May 26, employees of the OSCE Special Monitoring Mission in Luhansk observed the unloading of five white trucks, one of which had an inscription: "Humanitarian assistance from the Russian Federation." The unloading took place on the territory of a military facility in Luhansk which is used by the illegal military formations. The OSCE staff could not identify the cargo contents as a militant ordered them to leave the territory.